I've been on the phone with HP support no <10 times in the last 3 days. Tomorrow will probably be the last straw. Please don't ever buy from them. Their support is the worst. Everyone wants to pawn me off to someone else. One evening I went from tech support to order tracking and back, I spoke to each department 4 times. My roomate bought short grain sushi rice while I was gone to the mainland. I think short grain rice is great for one thing: Sushi. Otherwise I enjoy long grain jasmine rice. Every pot I've made since I've been back has turned out wrong, chewy or dry. ugh. I removed the reader applet from my Google start page because I thought it was interfering with my productivity. Now I go the entire week without remembering to check my feeds. I sign in today to find 112 posts. Yikes. I did a house call yesterday, I borrowed my boss' truck to get there. I did a simple install for this lady. Answered all the start up questions on her new Vista laptop, installed the printer, set up a Gmail address, showed her how to print and attach pictures and walked her through the basics of Word, Exel, One Note and Powerpoint. As I was leaving she said "Here's your money and I have a bag of citrus for you too." I got a bag with 4 oranges, 2 avocados, 2 limes and a bottle of water. 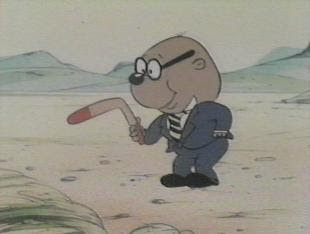 I used Whiist to change the picture on my WHS webpage to a picture of Penfold. He's so much more fun than than the frolicking family. I agree with the short-grain rice thing. It' is really only good for sushi and risotto.